Wrap his wrist in love. 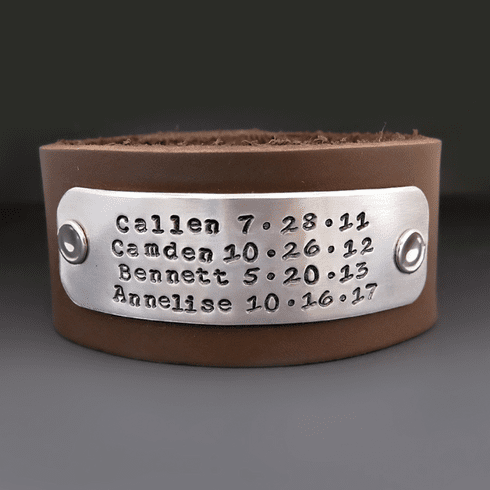 Create a custom piece by adding your favorite quote, music lyrics, or message of love to this 1.25" wide leather cuff. The metal plate will hold 4 lines of text with 20 letters/numbers per line. All text will be centered in the plate unless other instructions are provided below. This cuff is approximately 1.25 inches wide x 2mm thick.